After the ramen craze that took the country by storm, Filipinos can now enjoy a good bowl of ramen without having to line up for hours. During those times, I've had my fair share of the piping hot noodle soup from ramen bars like Ramen Nagi, Ippudo, Ikkoryu Fukuoka, Hokkaido Santouka, Hanamaruken, Ramen Bar, Kitchitora, Kokoro Ramen, Moshi Koshi and more. Quietly making its way capturing the hearts and appetite of Filipinos, is a noodle franchise from Japan, specializing in udon (thick wheat flour noodles) and soba (buckwheat noodles). Nadai Fujisoba humbly entered the country a year ago, and has since created their own fan base of soba and udon aficionados. 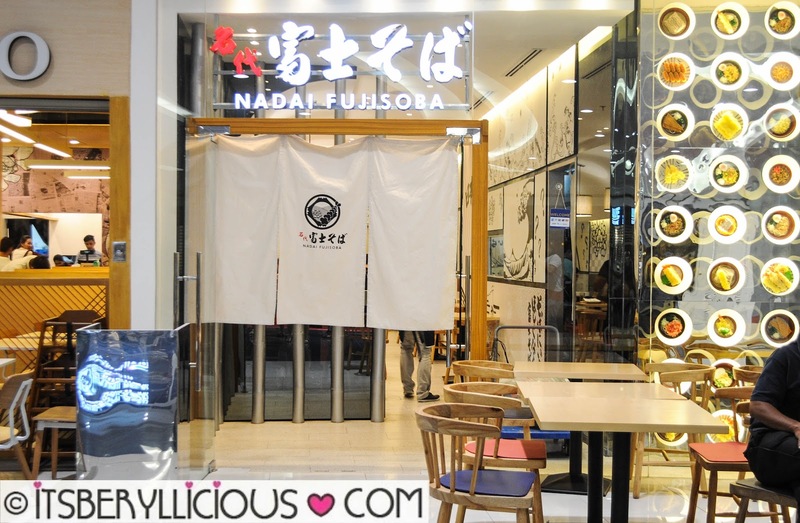 After Nadai Fujisoba opened its first branch in Bonifacio High Street, it quickly expanded to a total of 5 branches in a span of one year. Few months ago, we visited its newest branch at The Block, SM North Edsa for a quick soba and udon fix. 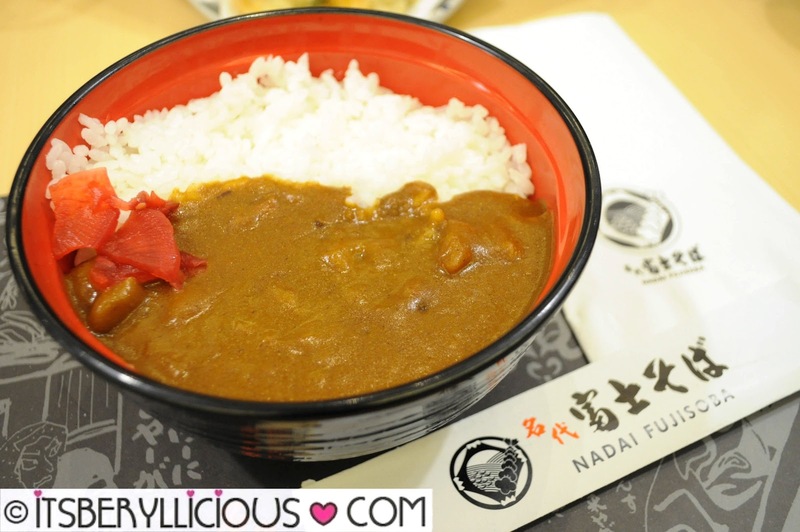 Menu prices at Nadai Fujisoba are exceptionally cheaper than other ramen joints. Here, you can enjoy a large bowl of noodles for as low as P180. The basic Kake Soba/Kake Udon (P180) is a simple bowl of noodles topped with sliced scallions and wakame, in a light and clear tasty broth. 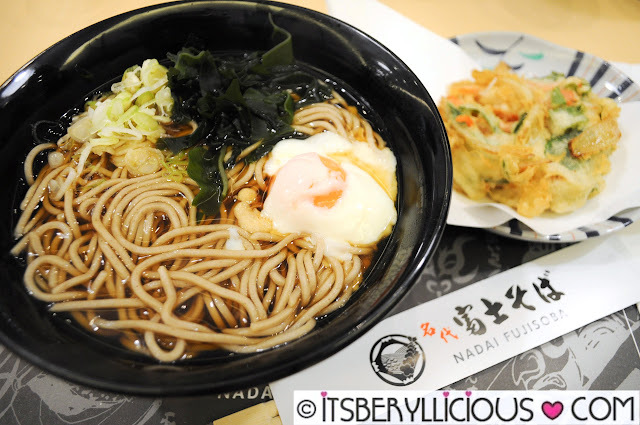 You may choose to add an egg for an Onsen Tamago Soba (P200) and have an order of Yasai Kakiage (P120) on the side. 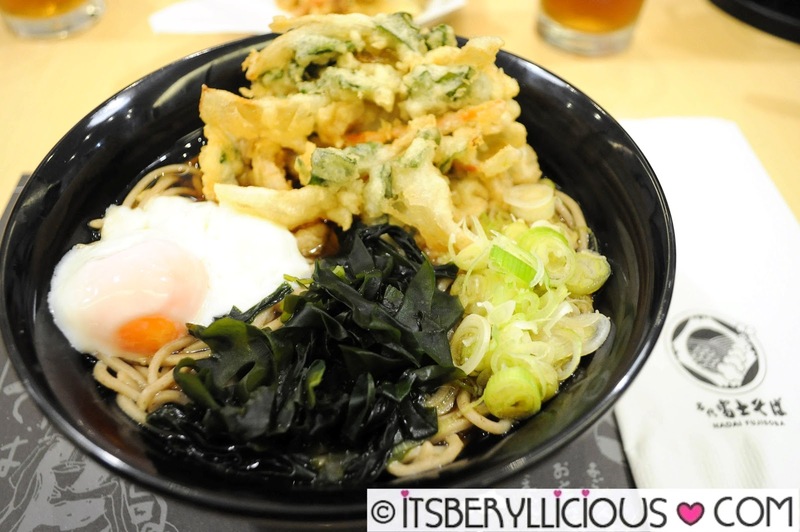 You may also choose the Yasai Kakiage Ten Tama Soba (P300) from the Tempura Soba/Udon selection which can save you around P20 for the same toppings and side dish. For udon lovers, the Niku Fuji Udon (P260) features Nadai Fujisoba's thick and chewy wheat flour noodles in the same tasty clear broth. The addition of beef slices also gives the bowl a sweeter taste. People who don't fancy noodles, can enjoy a selection of rice bowls from the menu. D ordered for this Curry Don (small-P100, regular-P190) which was mostly curry sauce. 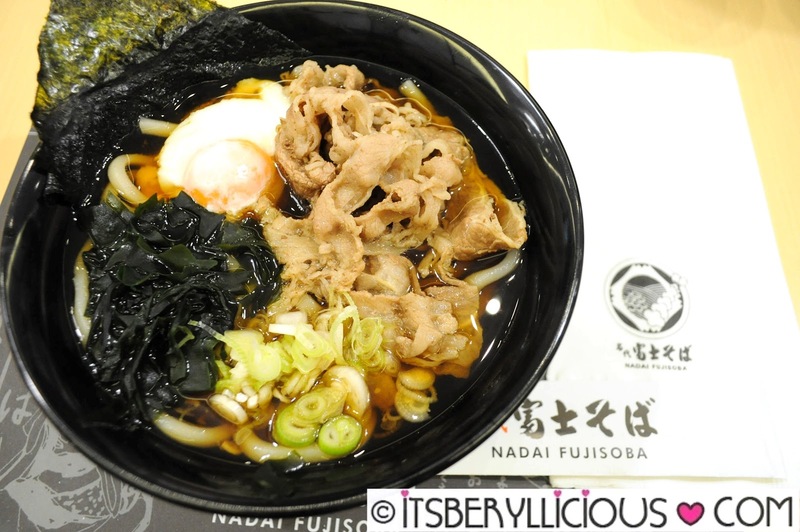 Personally, I still think udon and soba are the stars of Nadai Fujisoba.